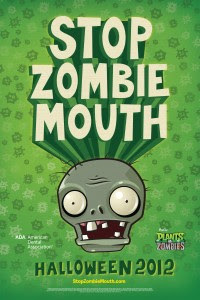 Just in time for Halloween I received a box from the American Dental Association (ADA) with a limited Stop Zombie Mouth Halloween kit, which include PopCap Game, a cool Zombie Mouth poster and 50 packs of Plants vs. Zombies trading cards (250 cards total) with redemption codes for free Plants vs. Zombies game downloads. The cards are inspired by the game’s “fundead” characters as well as a new set of characters called the “Putrid Posse” developed just for this campaign. 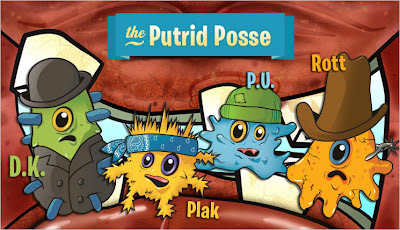 Ask if your local dentist has the limited-edition, collectible Plants vs. Zombies trading cards with the code for a free Plants vs. Zombies download game. Or, download printable free-game coupons here. 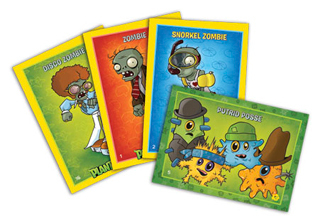 These free codes can be redeemed at http://stopzombiemouth.com starting Oct. 30, but no later than Nov. 10! They are good for the PC or Mac version of the super-popular game, which normally sells for $19.95. Game codes can be used starting 10/30/2012. 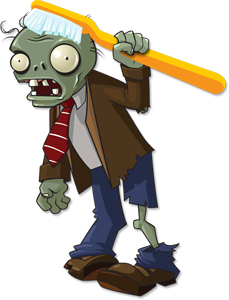 Now go out and give Plants vs Zombies fun as a Halloween treat to kids of all ages. 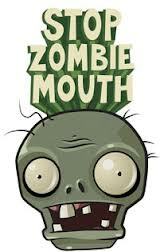 And thanks for helping Stop Zombie Mouth. 1 2x2! Brush for two minutes two times per day with fluoride toothpaste. 2 Floss between your teeth daily. 3 Eat fruits and veggies instead of sugary and starchy snacks. 4 Wear a mouth guard while playing sports. 5 Don’t smoke or use tobacco. 6 Don’t pierce your lips or any other part of your mouth. 7 Visit your dentist regularly. Dentists get lonely! PopCap’s hit family friendly video game has been played by more than 120 million people worldwide. And it’s won over 30 Game of the Year awards!